This is a weapon I made when learning how to use NifSkope. 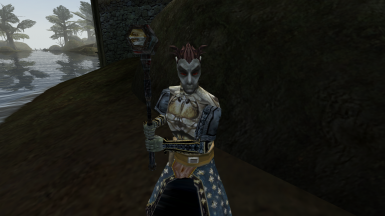 This is Vivec's lost hammer. It has his face on the 2 sides where you will be hitting your enemies at. Just extract to data files like any other mod.